Universal Orlando -Which Price Is Right? Universal Orlando – Which Price Is Right? 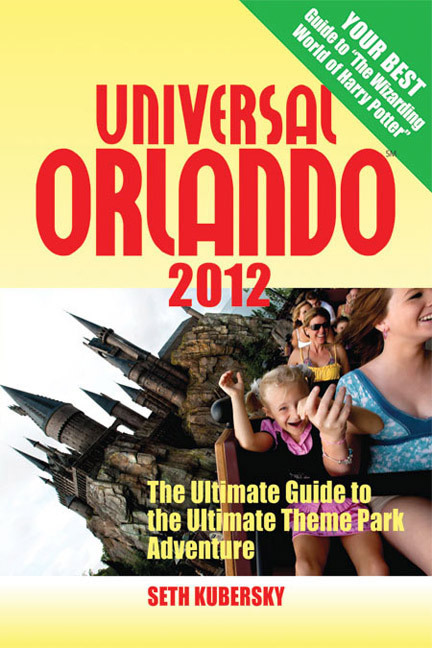 First, it is a good strategy to purchase your tickets online at the Universal Orlando website. This gets you a $19.15 discount on multi-day tickets, though one-day tickets are $2.15 more expensive online. But mostly what the online option does is save you time. If your schedule only allows one day at Universal Orlando, the choice is both simple and complicated. Simple because you'll only need a one-day pass, complicated because you must choose between two wonderful parks or try to do both parks in one day. If you will be visiting at a busy time of year, the best advice is to choose one park. The one-day, two-park option will pretty much give you a "Universal's Greatest Hits" sort of experience with many attractions missed for lack of time. However, if you are visiting during a slow period, are staying at an on-site hotel (which gives you preferred access to rides), or know you will be skipping kiddie attractions and "aggressive" rides like the roller coasters, then you can probably comfortably do two parks in a single day. Conversely, if you will only be doing the aggressive thrill rides, then the two-park option might also work for you, especially if you are staying on site. But don't try to cram both parks into a single day. There is just too much to see, do, and savor. In fact, Universal's multi-day option is so reasonably priced that you really owe it to yourself to slow down and smell the roses. But if you only have one day available, please try to avoid the temptation to do both parks. So let's say you have one day. Which park should you choose? Until recently, the answer had been a slam-dunk: go to Islands of Adventure. It's newer, it's special, and since Harry Potter's much-publicized arrival it's been the one all your friends back home want to hear about. 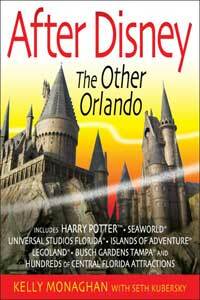 But with the arrival of Transformers, Springfield U.S.A., and (in 2014) Diagon Alley, USF has rapidly become the hot park to brag about visiting. On a practical level, if you like live shows and 3-D movies but hate upside-down roller coasters and soaking water rides, you might find Universal Studios Florida more to your liking. USF also features fewer outdoor attractions, making it a drier choice in inclement weather. Read the chapters that follow and make your own decision. If you have two days, then the most sensible option is to purchase a Two Day Base Ticket and visit each park on different days. If you want to spend three or four days in the parks, additional discounts kick in that make the Park-to-Park Access option most attractive. Note that Park-to-Park tickets may be mandatory to fully experience the Hogwarts Express train connecting the parks' Harry Potter areas (opening summer 2014). After four days, however, the cost of parking (5 days times $16 is $80!) makes it more economical to purchase a Preferred Annual Pass for one member of your party, and Park-to-Park tickets for the rest. And if you are considering a stay at one of the resort hotels, remember that an annual pass will entitle you to special rates, if you come at the right time of year. For example, annual passholder rates at the Hard Rock Hotel can sometimes be $60 less than the best rate available. A four-day stay and the annual pass practically pays for itself! Think twice before grabbing a Power Pass, however. This option makes sense only if you have figured a way around paying for parking. The dollar difference between a Preferred annual pass and the Power Pass is roughly five days of paid parking. Factor in the blackout dates and the money you lose by not getting a discount on meals and shopping and the Power Pass looks even less attractive. The Premier Annual Pass is only recommended for locals and frequent visitors who like late afternoon Express access, the added luxury of preferred or valet parking, CityWalk clubs, and Halloween Horror Nights. If you don't plan on taking advantage of those perks, it will be hard to make the additional investment pay off. 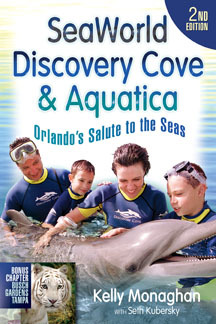 The Orlando FlexTicket is also an excellent buy for people whose main interest is Universal and who have two weeks to spend in Orlando. You can spend one day each at the other parks and the remaining 10 or 11 days coming and going as you please at the two Universal parks. The per-day cost is roughly $23 to $26, which is a lot of entertainment bang for the buck. If you have any doubts about whether you will enjoy the theme park experience, you can hedge your bets. You can upgrade any pass to a more expensive pass while you are still in the park. The price you pay will be exactly what you would have paid if you'd purchased the more expensive pass when you first arrived.